It is a very healthy technique these days to center your entire website horizontally in the browser window (but be careful), especially nowadays with monitors getting bigger and bigger and with higher resolution. Sometimes it's nice to break the rules though, for effect. Check out Panic's website for their software Coda. 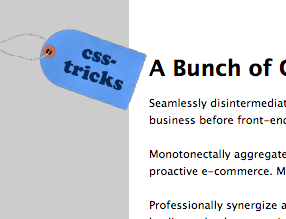 Here is the CSS-Tricks version. Feel free to download and use freely.